It’s God’s own country and it is an arresting place of majestic beauty. Zulu Waters Game Reserve is a unique chunk of heart-stirring Africa. The ±3032 Ha estate in the picturesque KwaZulu-Natal Midlands is as vast as it is diverse. And on April 19 a buyer of substance will call it his, hers or their own. Property specialists In2Assets has secured the game reserve for auction on that date. It is an estate of unmatched value in the area, situated on the P171 Castle Road near Estcourt. Zulu Waters has a staggering array of revenue generating attractions. For one it has an abundantly stocked game reserve with all manner of beasts, including white rhino, Eland, black Wildebeest, Buffalo, Zebra, Kudu, Springbok and Warthog, to name but a few of the animals. Zulu Waters comprises of a number of precincts, all of which will fall under the hammer. Besides the game reserve there are farm lands, veld, Kikuyu pastures, dams, an abattoir, workshop, store-rooms, staff quarters and an office. There are boreholes and generators for independent water and power supply. The property has a 45km fence that is 2.2m high and is electrified. There is a high-end hospitality component on the land, with an award winning sandstone lodge, tennis court and various other recreational attractions. There is a gourmet kitchen and private chef. A thatched river camp allows visitors to enjoy the best fishing along the 14kms of the Bushman’s River that runs through the farm. The property also boasts indigenous ravine forests, a private air strip and facilities for pigeon clay shooting, hot air ballooning and guided tours through the rock art in the caves of the ancient San people. In2assets MD Hein Hattingh said the auction represented a once in a lifetime opportunity. Hattingh said cultivated biodiversity on real estate that was unfettered by land claims and bolstered by a strong community social responsibility program made it all the more appealing. The auction will be held on site at 11am on Thursday 19 April. In2Assets was established five years ago and specializes in the sale of retail, commercial & industrial, recreational properties and farms. In the time it has been in operation In2assets has held more than 50 auctions and has clocked up sales of over R4 billion. The firm is backed by national law firm Strauss Daly and in November 2017 achieved its record month, with sales of more than R200 million in a single auction. 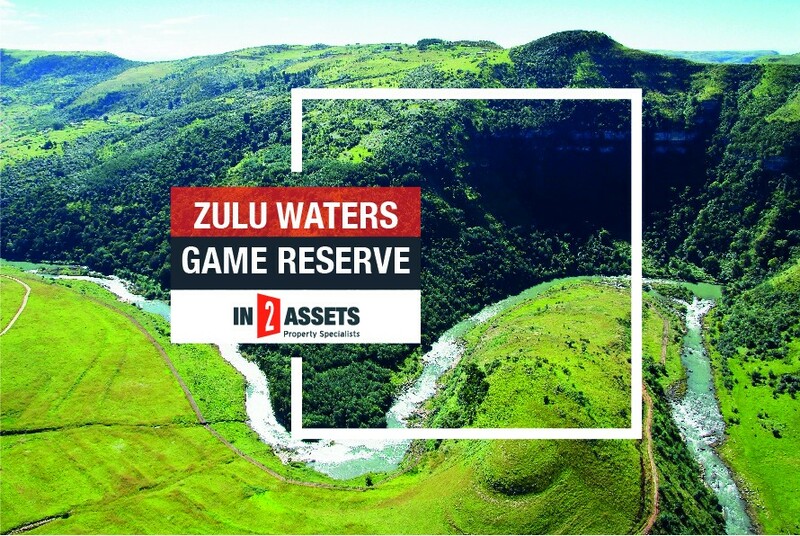 For more information about In2Assets and the Zulu Waters property visit www.in2assets.com or call 0861 444 769.